Join us for a webinar on Wednesday September 6, 12 PM ET. Dr. Rouying, North Carolina State University, will report on efforts in evaluating the performance of the coupled modeling system. An integrated marine environment prediction system is developed and used to investigate marine physical-biogeochemical variability in the Gulf of Mexico and southeastern U.S. shelf seas. Such variability stem from variations in the shelf circulation, boundary current dynamics, impacts of severe weather forcing, as well as growing population and associated land use practices on transport of carbon and nutrients within terrestrial systems and their delivery to the coastal ocean. We will report our efforts in evaluating the performance of the coupled modeling system via extensive model and data comparisons, as well as findings from a suite of case studies. Dr. He is a Distinguished Professor of North Carolina State University and an Adjunct Scientist of Woods Hole Oceanographic Institution. His research expertise spans from coastal circulation dynamics, air-sea interaction, to biophysical interactions. 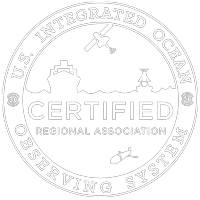 As the director of the Ocean Observing and Modeling Group (OOMG), he conducts coastal ocean observations, remote sensing data analyses, and also leads the development of prediction models of ocean circulation, air-sea-wave interactions, physical-biogeochemical couplings, as well as data assimilation.